Dr. Uya joined the University of California, San Diego Pediatric Emergency faculty in May 2015 as the Point-of-Care Ultrasound director. 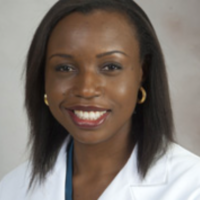 She completed her residency in Pediatrics at the St. Joseph's hospital (Mount Sinai School of Medicine program) in Paterson, NJ and her fellowship in Pediatric Emergency Medicine at the University of Texas-Southwestern program in Dallas, TX. From there, she moved to the University of Texas-Houston where she completed an Emergency Ultrasound fellowship and served as the assistant director of the Emergency Ultrasound division. Her research interests are Point-of- care Ultrasound, Emergency airway and International medicine. She is also interested in Medical education and completed the American College of Emergency Physicians’ Teaching Fellowship in 2013.